systems. Translated as "three fruits", it is composed of the dried fruits of nelikai, bibhitaki and haritaki. Containing five of the six tastes (all but salty), Triphala readily removes excess vata, pitta and kapha from the body, bringing balance and proper functioning to the system. 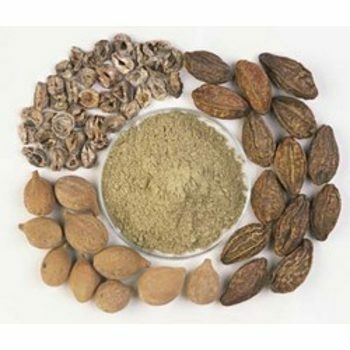 It is commonly taken as a daily supplement to help maintain balance of the doshas. Also known as Indian gooseberry, Nelikai is the first ingredient of this healthy detoxifier. allows you to take it as a tea.